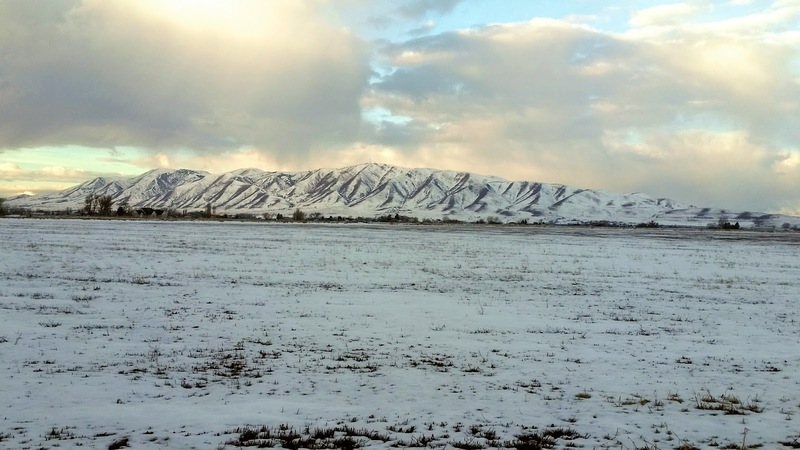 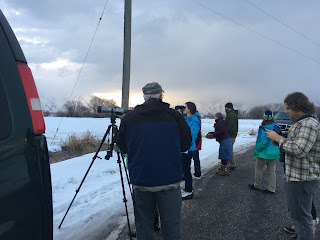 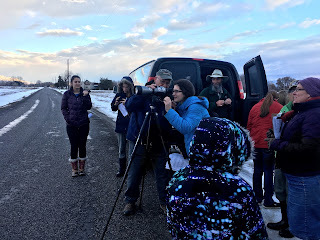 Getting up at the crack of dawn on a Saturday morning may be crazy to some, but for those interested in birding in the chilled Utah winters, it's a must. 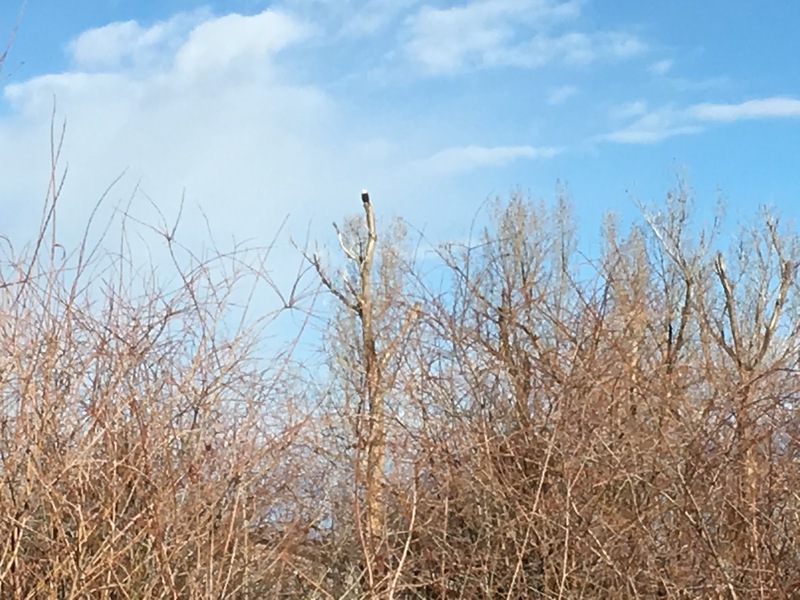 This is even more important, since some of the migrant birds are also early risers. 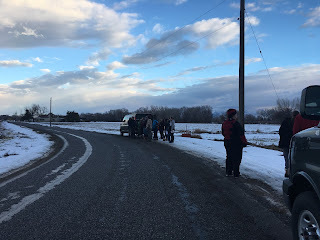 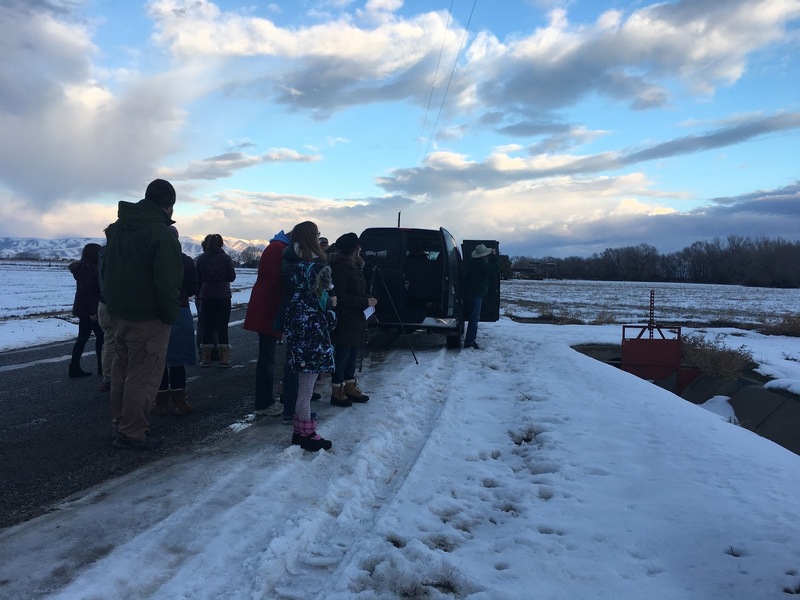 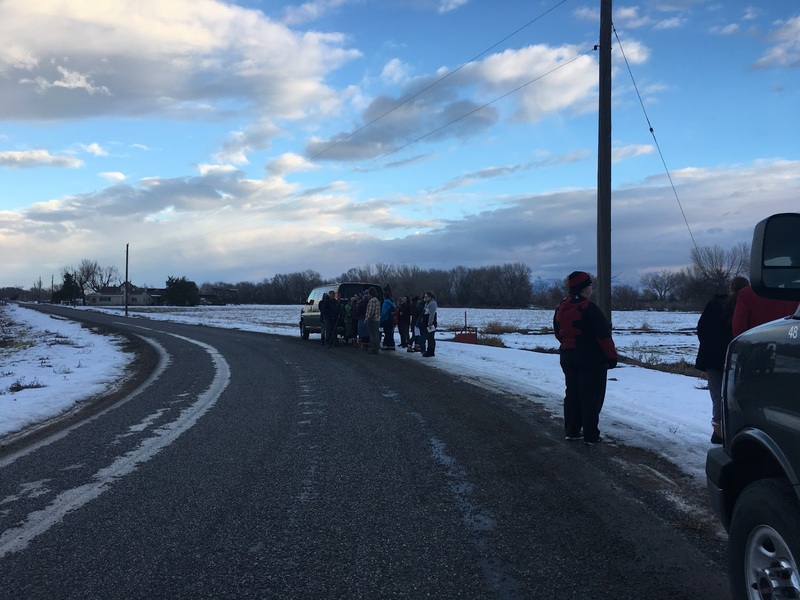 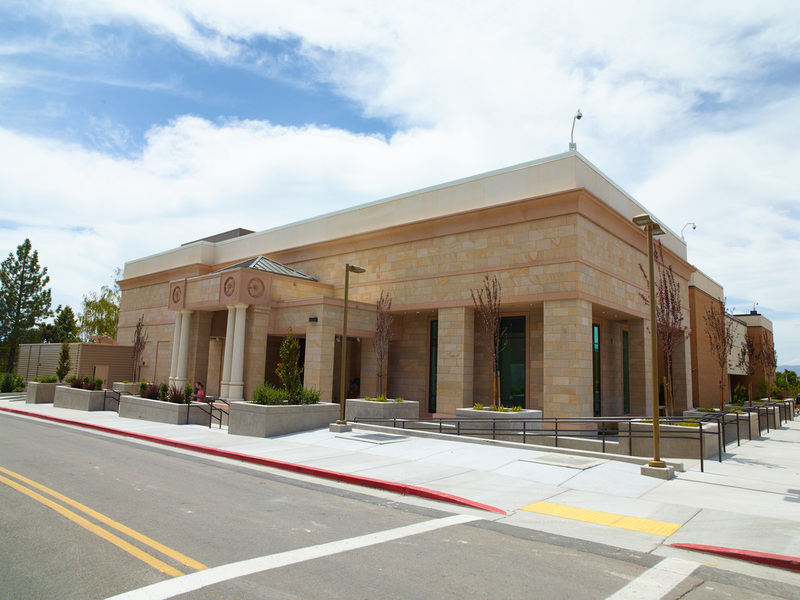 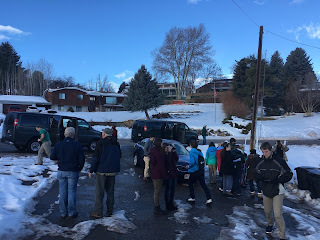 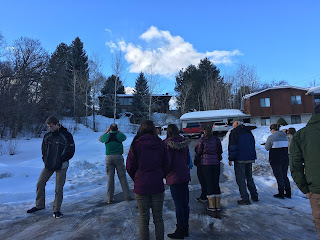 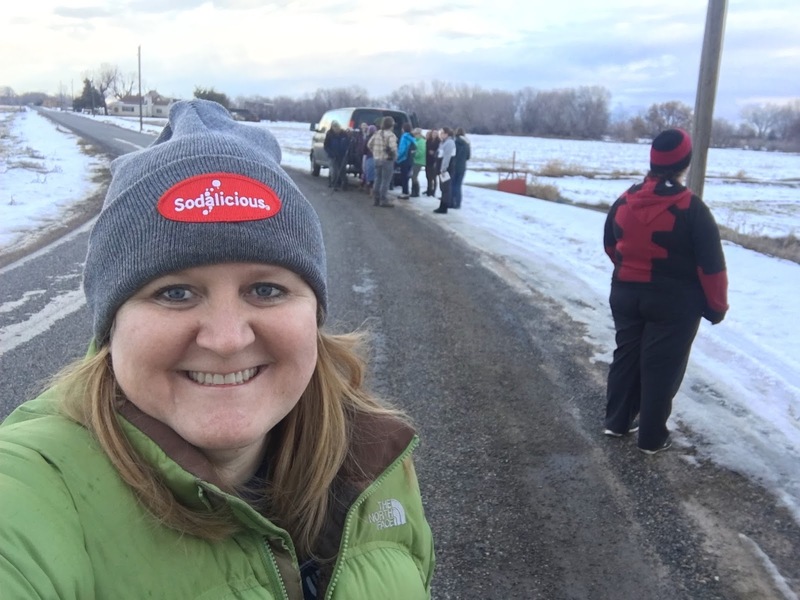 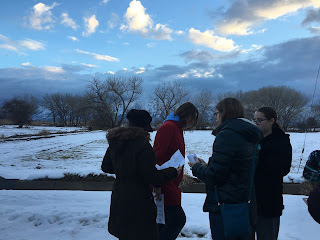 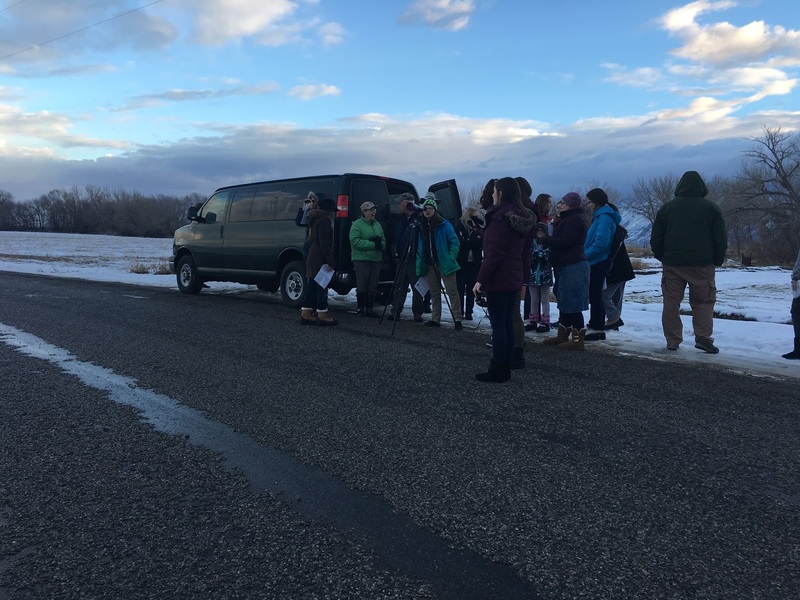 We met at 7 am at the Monte L. Bean Life Science Museum and stuffed two 12 passenger vans and an additional car with people and equipment, then headed out to meet up with Dr. Merrill Webb. 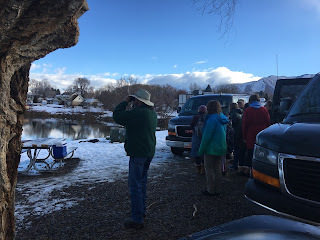 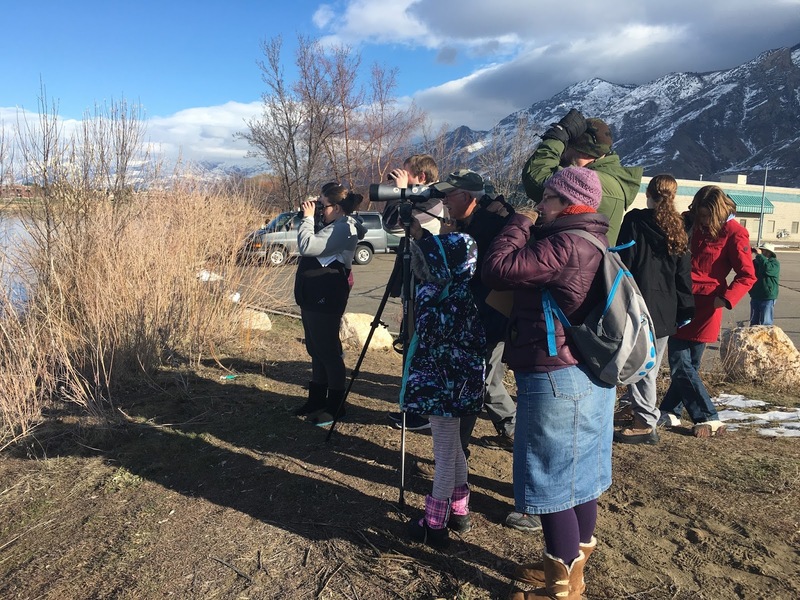 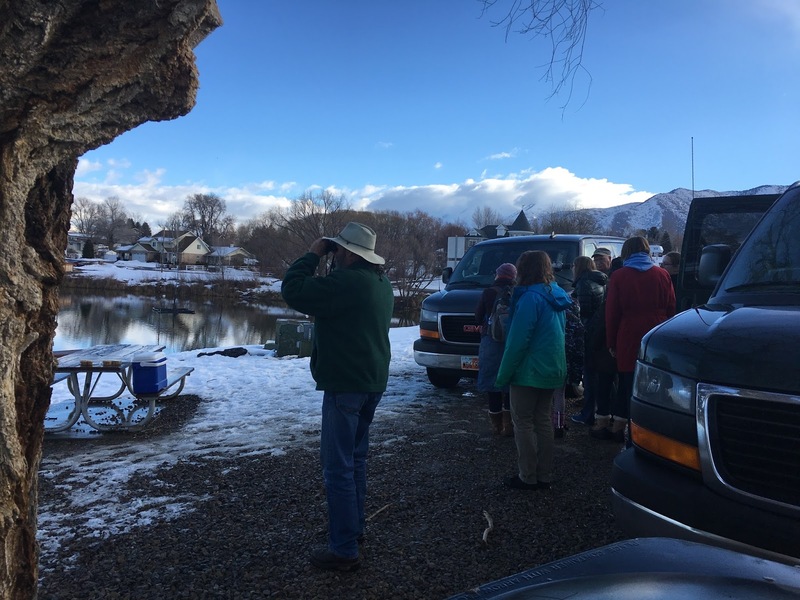 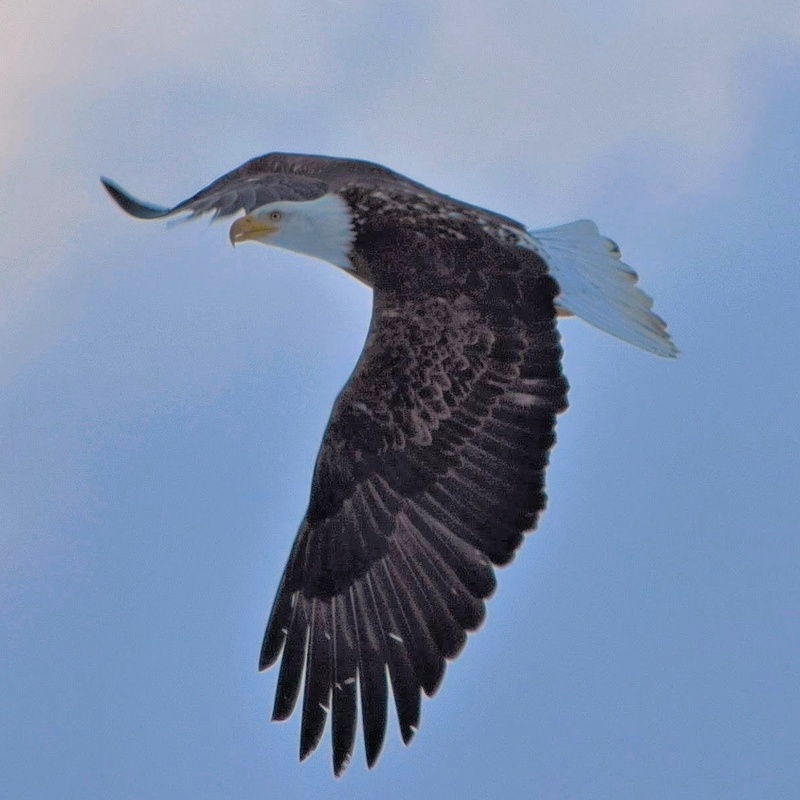 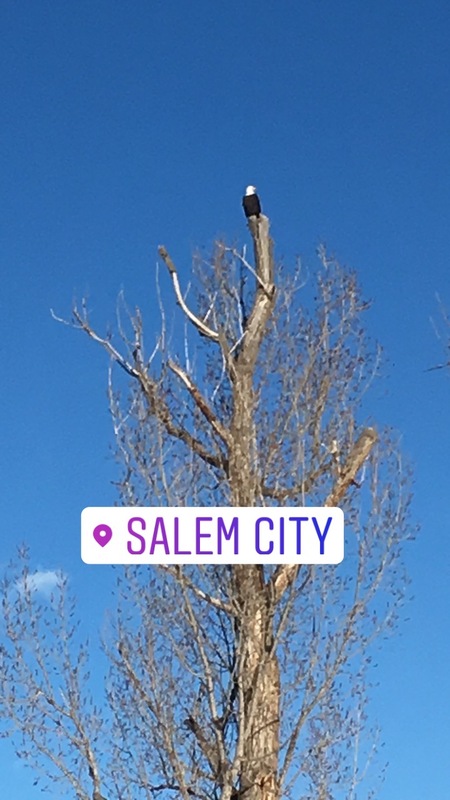 We drove out to the southeast part of Utah lake in the community known as Lakeshore and it was there that we spotted our first eagles. We first noticed them flying in the air above us, then we spotted their nest. We quickly and quietly got over to the roost, where the educators distributed binoculars. 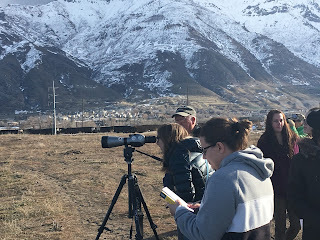 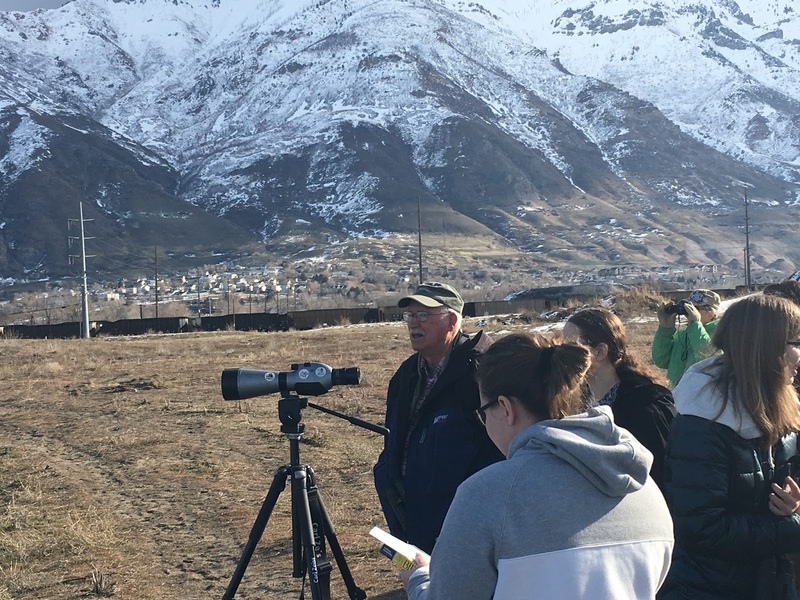 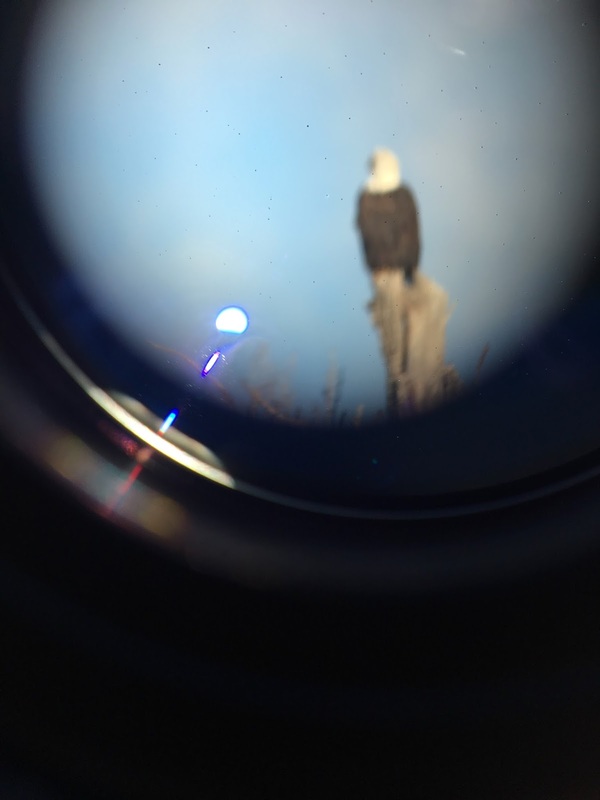 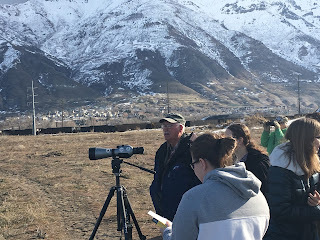 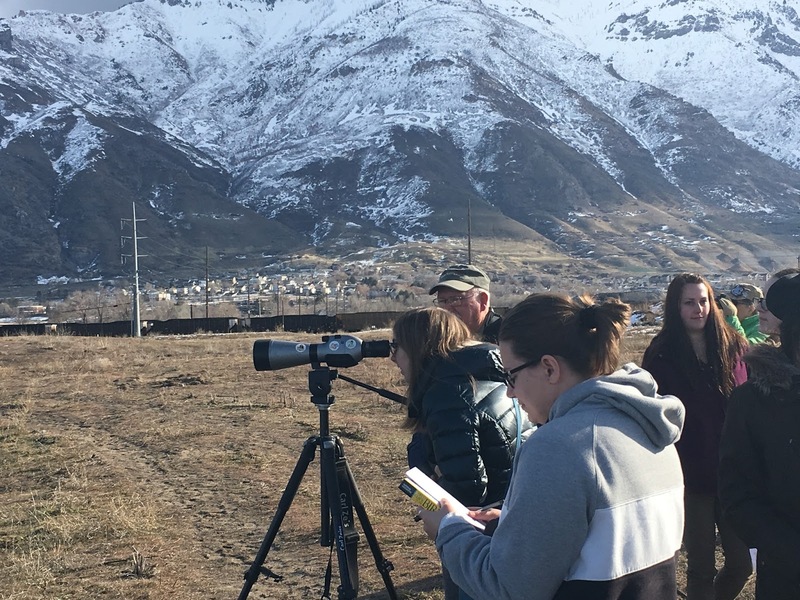 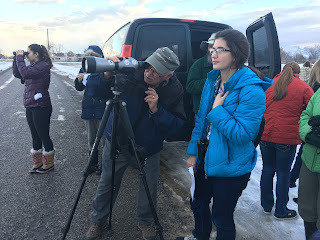 Using his spotting scope, Dr. Webb had it focused on the eagle in seconds. 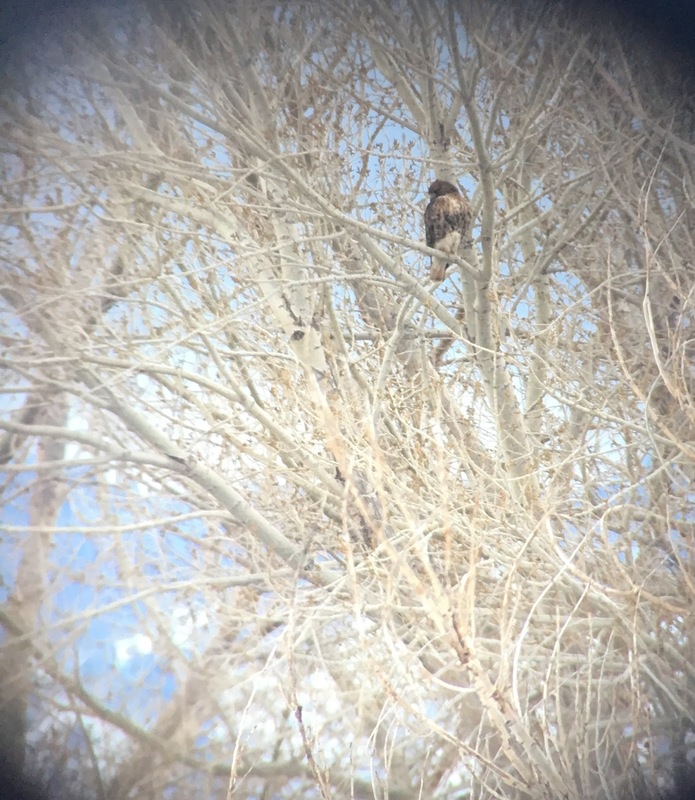 These birds are only visitors to Utah, coming here during the winter to feed on carp, waterfowl, and carrion. Once the warm weather starts to hit, however, these guys migrate north once more. 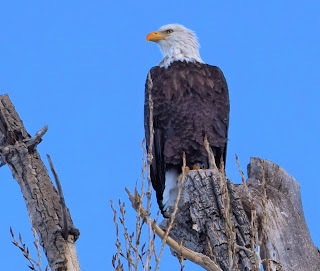 In the large cottonwood, there must have been at least 6 eagles, but as soon as we arrived, they scattered from their roost in search for some breakfast. 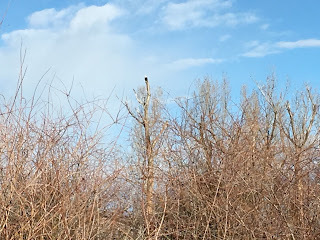 We drove off, in search for more birds. 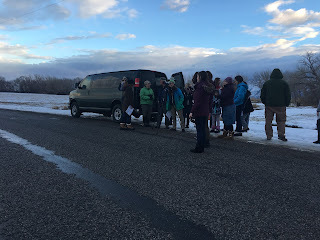 As we drove, passengers would point out different birds they spotted. Each vehicle had a walkie-talkie that they would use to communicate with the other cars about the birds they were seeing. 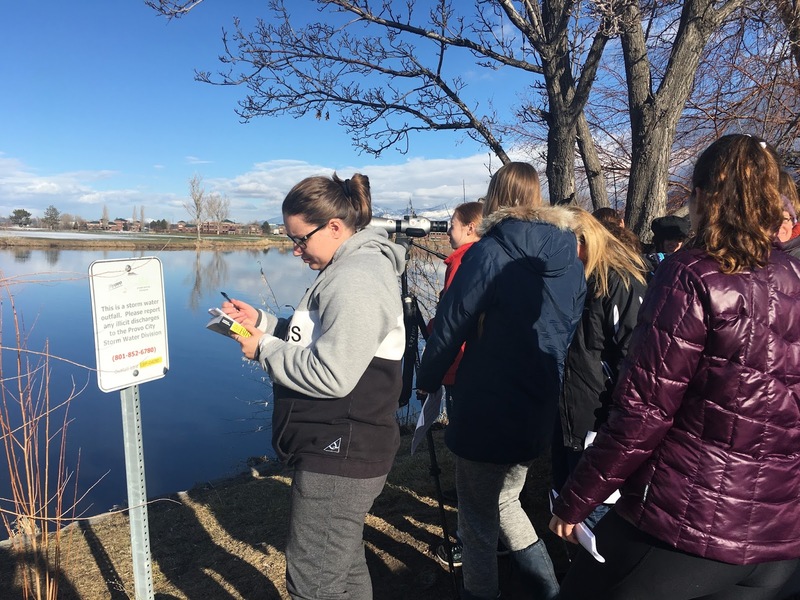 After spending time in Lakeshore, we drove out to Salem Pond to view the waterfowl that reside there. 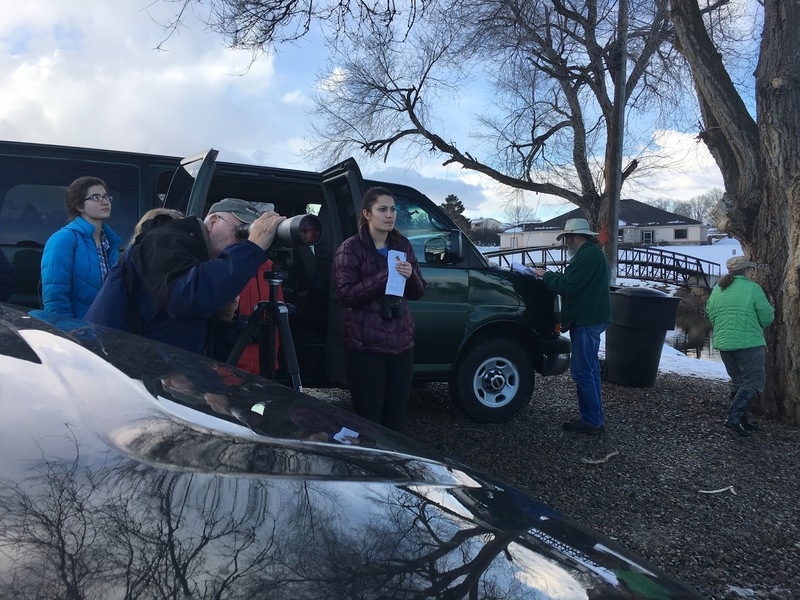 There were fewer birds than normal because of some disturbance from local workers taking down holiday lights, but we were still able to spot some common mergansers, lesser scaups, buffleheads, and commone goldeneyes. 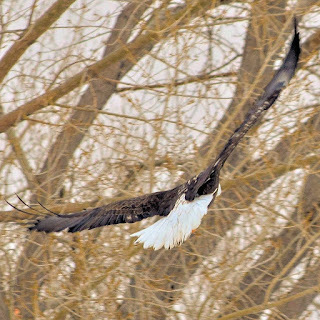 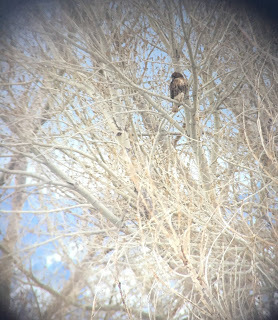 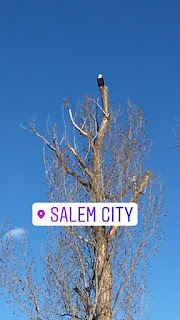 There was even anothe bald eagel perched at the top of a cottonwood tree, surveying the scene. 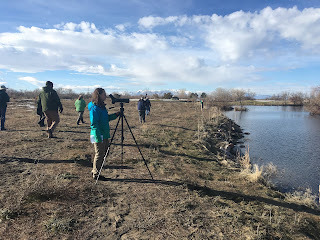 Our final stop for the morning was at the East bay Golf Course in Springville where we spotted black crowned night herons - two parents and their year-old chicks - and double crested cormorants. 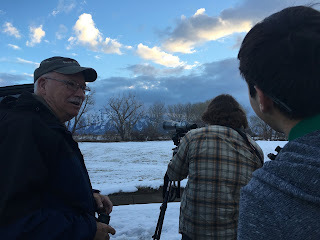 Dr. Webb took some time after the outing to discuss with everyone different opportunities for bird watching. 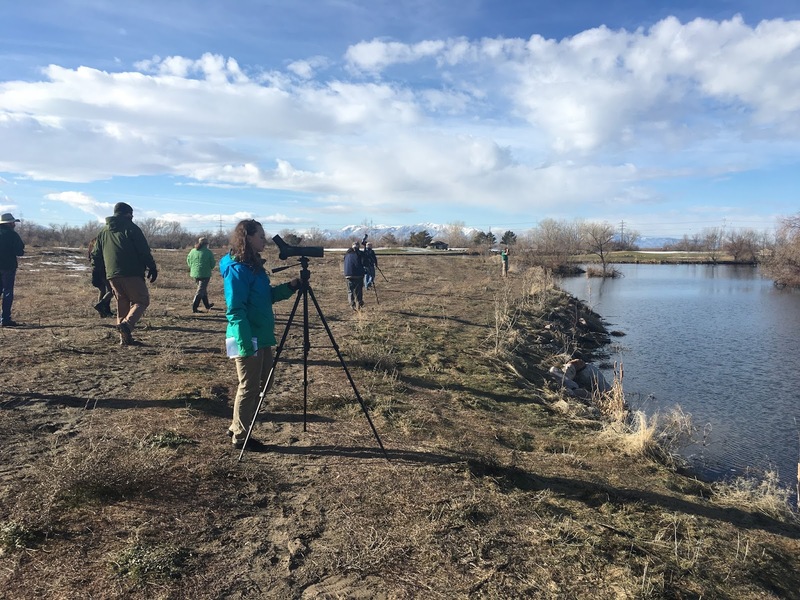 Birding groups can be found in every county, so there are more opportunities if you are interested in adventures like these. 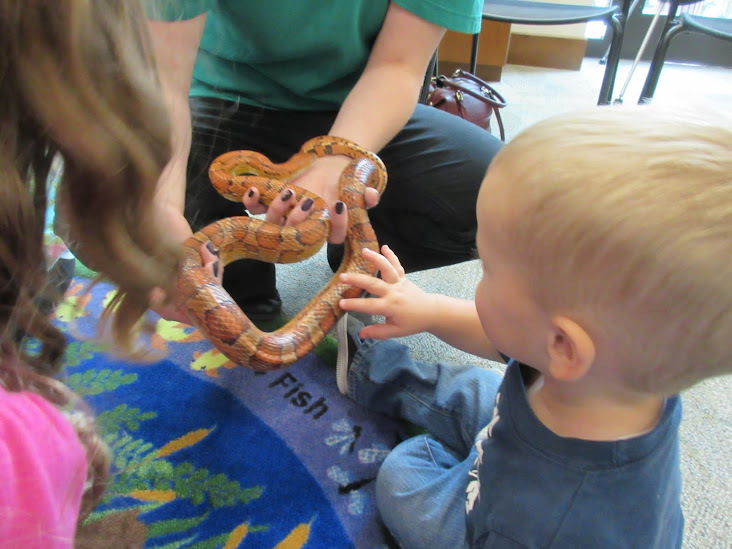 You can also always check out the Monte L. Bean Life Science Museum's website if you are interested in future experiences like this one!